The Canon EOS 7D Mark II Wi-Fi Adapter Kit adds the convenience of Wi-Fi® compatibility* to the features you can now utilize with the EOS 7D Mark II camera. By simply inserting the new Wi-Fi Adapter** W-E1 into the SD card slot, you can take advantage of Wi-Fi®* capabilities such as remote shooting or viewing and transferring still images and movies (MP4) using a compatible smart device (with the Camera Connect app*) or a computer (using EOS Utility). When combined with the robust features of the EOS 7D Mark II, including the 20.2 Megapixel CMOS sensor, up to 10.0 fps shooting speed, Dual Pixel CMOS AF for brilliant Live View AF and more, these new Wi-Fi® capabilities give you a more expansive interaction with your EOS 7D Mark II than ever before. In addition to this new Wi-Fi Adapter Kit, the EOS 7D Mark II is also available in a bundle with the Wi-Fi Adapter W-E1 and the EF-S 18-135mm f3.5-5.6 IS USM lens. This gives you the full feature set of the EOS 7D Mark II with convenient Wi-Fi® compatibility, along with a lens boasting NANO USM AF for fast, fluid and nearly silent operation during video and still shooting, so you can get the shots you want while being as discreet as you need to be. * Compatible with iOS® versions 8.0/8.1/8.2/8.3/8.4/9.0/9.1/9.2/9.3, Android™ smartphone and tablet versions 4.1/4.2/4.3/4.4/5.0/5.1/6.0. Data charges may apply with the download of the free Canon Camera Connect app. This app helps enable you to upload images to social media services. Please note that image files may contain personally identifiable information that may implicate privacy laws. Canon disclaims and has no responsibility for your use of such images. Canon does not obtain, collect or use such images or any information included in such images through this app. ** The Wi-Fi Adapter W-E1 must be inserted into the available SD card slot. The W-E1 does not have storage and is not designed to record images. To record and store images, a CompactFlash card must be used in the dedicated CF card slot. ^^ Compatible with iOS® versions 8.0/8.1/8.2/8.3/8.4/9.0/9.1/9.2/9.3, Android™ smartphone and tablet versions 4.1/4.2/4.3/4.4/5.0/5.1/6.0. Data charges may apply with the download of the free Canon Camera Connect app. This app helps enable you to upload images to social media services. Please note that image files may contain personally identifiable information that may implicate privacy laws. Canon disclaims and has no responsibility for your use of such images. Canon does not obtain, collect or use such images or any information included in such images through this app. $250 Instant Savings - Offer valid March 31, 2019 12:00 a.m. through April 27, 2019 11:59 p.m. ET. Offer valid in U.S.A. only, and void where prohibited, taxed or restricted. Availability of certain items may be limited. Limit of ten of any one item per order, subject to availability. Order will be shipped to a street address in the 50 United States or the District of Columbia only. Dealers, distributors and other resellers are not eligible for this offer. Offer subject to Terms of Sale. The EOS 7D Mark II has a newly designed 20.2 Megapixel sensor that delivers high-resolution image files with stunning detail and impressive clarity. Optimized for low-light shooting, the EOS 7D Mark II’s sensor captures images at up to ISO 16000 (expandable to H1: 25600, H2: 51200) with remarkably low noise, thanks to its improved, higher sensitivity design. Phenomenal for stills, the EOS 7D Mark II's sensor is equally up to the task for movies, delivering Full HD capture even at rates of up to 60p. Compatible with the included Wi-Fi Adapter^ W-E1 accessory, which enables Wi-Fi® capabilities including easy transfer of images and videos in MP4 format to a compatible smartphone or tablet^^, and remote still shooting. The EOS 7D Mark II camera is compatible with the included Wi-Fi Adapter^ W-E1 accessory for convenient Wi-Fi® capabilities. 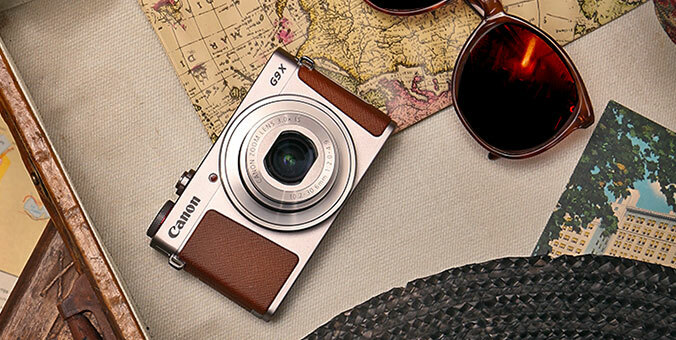 When inserted into the camera's SD card slot, the W-E1 enables you to wirelessly view and transfer images and MP4 videos when connected to a compatible smart device with the Camera Connect mobile app^^ installed, along with remote shooting for stills and the ability to remotely change camera settings. These Wi-Fi® functions can also be utilized when wirelessly connected to a computer equipped with the EOS Utility software. * Self-cleaning executed automatically (taking approx. 3 sec.) when power is turned on or off. Manual execution also possible (taking approx. 7 sec.). * Low-pass filter has a fluorine coating. *Records to either the CF card or SD card. *When the current card becomes full, the camera switches to the other card automatically. *The CF card and SD card record the same image at a different image recording quality. * Both the CF card and SD card record the same image at the same image recording quality (Also applies to RAW+JPEG, M-RAW+JPEG, and S-RAW+JPEG). Scene Intelligent Auto will set [Auto] automatically. *With an EX-series Speedlite having the color temperature information transmission feature, the color temperature setting changes to match the color temperature when the flash is fired. Set to approx. 6000K if the flash unit does not have the color temperature communication feature. Correction based on the current WB mode's color temperature. * The number of AF points and cross-type AF points vary depending on the lens used. * The center AF point is a dual cross-type AF point at f/2.8. *All AF points divided into nine focusing zones. *All AF points divided into three focusing zones. *AF point-linked spot metering not provided. * The selectable metering modes can be restricted with a Custom Function. *1: It depends on [Minimum] and [Maximum] of [Auto ISO range] *2: If overexposure would occur with fill flash, the minimum ISO speed set is ISO 100. *3: For bounced flash, ISO 400–1600 is set automatically depending on the ambient brightness. *4: Except in the A mode. *5: Auto set for ISO 400-1600 in the P mode with external Speedlite set for bounce flash. Shutter speed and automatic ISO speed control in P and Av modes: The minimum shutter speed can be set so that a slower shutter speed is not set automatically while AUTO ISO is set. Manual setting: Set the shutter speed: 1/8000, 1/4000, 1/2000, 1/1000, 1/500, 1/250, 1/125, 1/60, 1/30, 1/15, 1/8, 1/4, 0.5", 1"
*In the One-Shot AF mode with evaluative metering, AE lock takes effect when focus is achieved. *With AE lock button. (AE lock is updated each time you press the button.) Enabled in all metering modes. *During silent shooting, approx. 0.105 sec. *With flash, approx. 0.095 sec. *During silent shooting with flash, approx. 0.145 sec. Time lag between simultaneous SW-1/SW-2 ON and start of exposure: Approx. 0.17 sec. *During silent shooting, approx. 0.22 sec. *With flash, approx. 0.215 sec. * During silent shooting with flash, approx. 0.265 sec. *Flash firing, E-TTL II Flash metering, Flash mode, Wireless functions, Zoom, Sync setting, Flash exposure compensation, FEB and Clear settings. *The actual setting options for 1 and 2 will differ depending on the Speedlite used. IPB 8 min. 17 min. 35 min. * With MOV and MP4, if the recording time reaches 29 min. 59 sec., the movie shooting stops automatically. * With MOV and MP4, movie shooting does not stop automatically even if the file size reaches 4 GB. *For movies, even if exposure compensation has been set beyond ±3 stops, exposure compensation up to only ±3 stops will be applied. Up to six top-tier menu items and Custom Functions can be registered. Automatic battery check when the power switch is turned ON. *Battery level displayed on LCD panel and in viewfinder. *Displayed in four levels with the battery grip using size-AA/LR6 batteries. Approx. 5.85 (W) x 4.43 (H) x 3.08 (D) in.